Shaded by trees, its lawns fringed with colourful flowerbeds and ringed with benches, Soho Square is a great spot for a picnic or a quick daytime snooze on the grass. Dating back to the 1670s, when this was a fashionable residential address, the surrounding streets sum up the neighbourhood to a tee, with high-profile music and movie businesses tucked discreetly behind the elegant Georgian frontages. The square’s two late 19th-century churches, though unprepossessing, are historically interesting – the three-storey, red-brick L’Eglise Protestant, the last remaining Huguenot church in London, and St Patrick’s, which was one of the first Catholic churches to be built in London after Henry VIII’s Reformation. 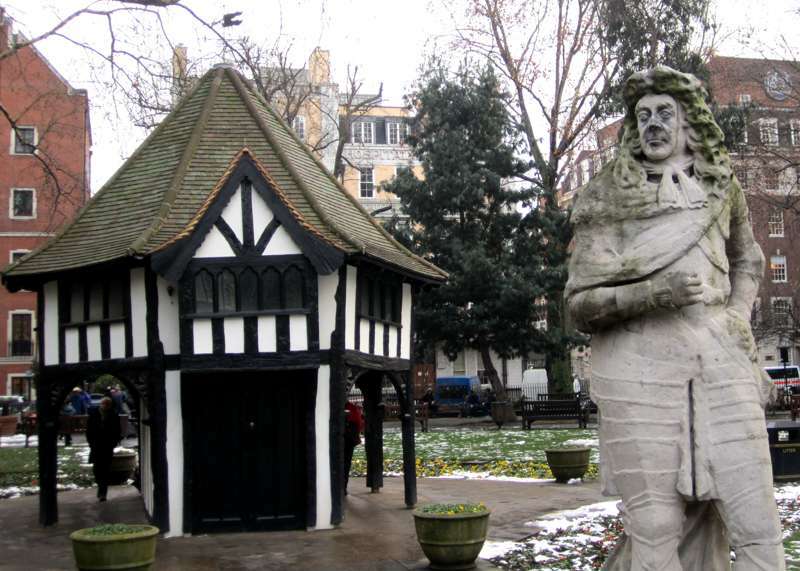 And the little Tudor hut in the centre of the park? It’s basically an ornate garden shed, dating from the 1930s.